Making the decision to switch from natural to artificial grass is indeed a big step in becoming a more cost-efficient property owner. Whether you are making the switch for your house or your company premises, there’s no doubt that you’ll be able to better reap off the benefits in the long run. 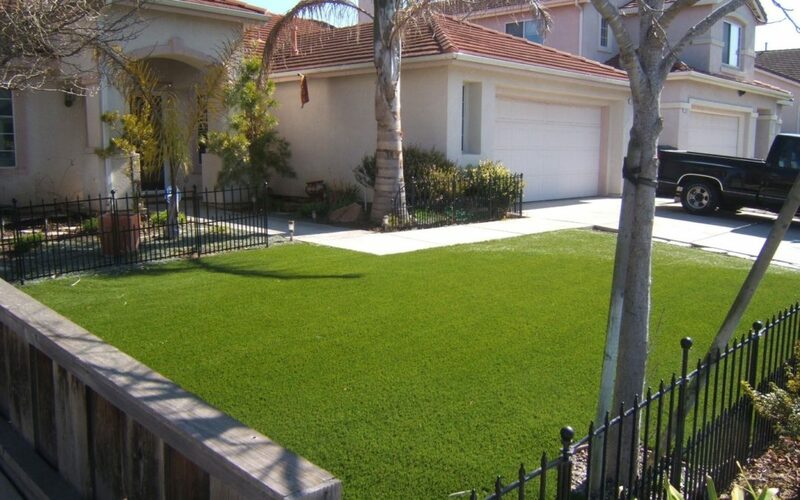 Foremost among these benefits are the durability of the artificial grass. Gone are the days when you’ll have to be resigned to frost and snow damaging your lawn, or drought during summers drying out your grass. With artificial grass, you can enjoy a lush, green lawn all year-round. There’s also the matter of being able to save up on costs and energy. No longer will you have any need for watering, fertilizing, or mowing the lawns. That’s a lot of time, money, and effort you could instead allot to other more important necessities. For you to fully enjoy all these benefits, however, you need to make sure that the artificial grass is properly installed. Don’t be too quick to assume that it’s a project you can easily take on DIY. Instead, it’s best that you leave it in the hands of professionals to properly do the job for you. Here are some more reasons for you to work with them. In order to place the artificial grass, the natural grass will have to be first removed. Removing the sod to serve as foundation for artificial grass requires special tools and equipment, as well as a massive effort of labor. The bigger the area is, the more challenging it’s going to be. Doing it DIY can pose problems for the inexperienced installer. The measurements may be inaccurate, rendering the layout of the artificial grass uneven. If it’s not properly installed, it could become vulnerable to faster wear and tear, a faulty drainage system. Speaking of which, this is also a critical component of installing artificial grass. Without the drainage system, rainfall or water used for washing the artificial grass will only stay pooled. Making the proper measurements and drainage positioning becomes all the more critical when the artificial grass is being installed on concrete surface. If there is no drainage system installed anywhere near, then this must be dealt with first. Professionals will have the best judgment as to how to go about this dilemma. DIY-ers, on the other hand, end up getting surprised that there is such a requirement, and so end up getting stuck in the process. ultimately, they either end up botching the entire operations or simply hiring professionals anyway to get it right for them. Seaming is the process of making the individual panels of the artificial grass look like they are one cohesive whole. It can be done either through an outdoor seaming tape or fastener. If this is not correctly done, it runs the risk of water flowing underneath the turf, causing damage to it. That’s on top of your lawn being an eyesore because of the uneven patches, instead of being relaxing to the eyes. It could also potentially be a cause for trip and fall accidents. With professionals working on the task, they will have the know-how and the skills as to how to properly execute techniques for proper seaming. Having the experience working on tasks like this is going to be a clear advantage for being more effective in approaching the task. At the end of the day, the main reason why you should hire professional installers such as Las Vegas Artificial Grass Pros, is that they can give you a comprehensive service with quality results. They know what they’re doing so you can rest assured that they’ll be a lot more efficient in taking care of your artificial grass installation more than you can ever be. Pros and Cons: Artificial Grass Versus Live Lawn. Gardenista.com.